I mean, imagine if you spent the better part of your life creating and developing an art form, just to see it become completely bastardized. Here are these kids, getting paid amounts of money that Jeff would have hustled for years to be making, and they’re not even actually doing anything. They’re faking it. As Jeff said, it’s just “NOT COOL”. I’ve stated many times, in writing and conversation, that the art of DJing is dead. It has been for a while. We now have a new generation of party goers who don’t know or understand what real DJing is. I thought it only fitting to review a mix by a man who not only played a big roll in pioneering the art of the disc jockey, but at this point in his carreer, is absolutely flawless in his execution of it. To drive the point home further, I think it needs to be a LIVE MIX. 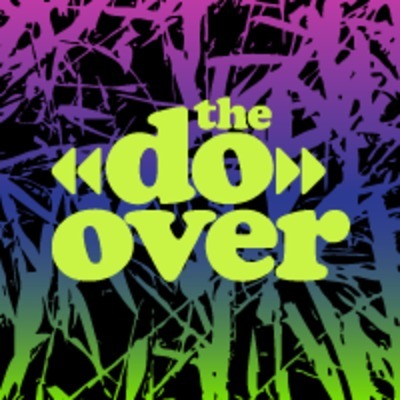 On a beautiful spring afternoon, a living legend, and pioneer of DJing graced L.A. with an outdoor appearance at beloved event, THE DO-OVER. Now, before you get into the live recording, what you need to understand, which is not apparent in the audio, is that this set didn’t take place in some half-empty club. it was a rammed, out door venue, on a sunny Sunday afternoon, and the place was POPPING OFF! Hit the below clip to get a proper idea. HIGH POINTS: A big part of DJing is knowing what a crowd wants to hear. Jeff starts out dropping classics. FUNK, SOUL, and OLDSCHOOL HIP HOP makes up the majority of the first hour. That’s exactly what I’m expecting in a mix by a legend of turntablism. By the half-way point, I’m nothing but impressed by Jeff’s manipulation of everybody’s all-time favourite party tunes, being fully aware that he has probably dropped all of these songs hundreds of times. I’m starting to wonder how he handles more modern music, and where his tastes lie, when it comes to the most recent decade of urban sounds. Right around this point, Jeff, being all the expert he’s cracked up to be, starts dropping current joints. From this point on, he’s switching between HOUSE, Hip Hop, TRVP, DUBSTEP, and even the MARIO BROTHERS THEME (1:47:00), without any of it feeling forced. You’d expect a guy as accomplished as Jeff to have a big ego, but he displays modesty, first of all, in not show boating too much. His turntable skills are featured only when he knows he’s using his tricks to add some excitement to an old favourite that we’ve heard a million times (1:36:00). Second of all, he’s not afraid to drop an instrumental and give MC SKILLZ a moment to shine (1:39:00). Third, he shows no shame in the fact that he’s best known, in Pop culture, for his roll on THE FRESH PRINCE OF BEL-AIR. He drops the theme song towards the end of the set (1:52:00). It all amounts to an artist that is only about the music, and the people in the crowd. This mix is 2 hours of a man on the highest plateau that a DJ can reach. This is perfection. 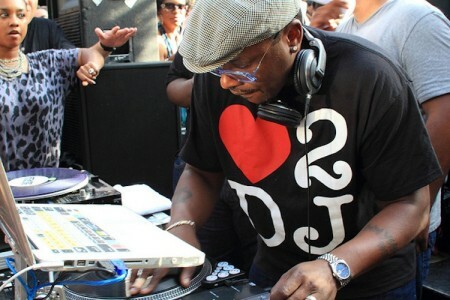 LOW POINTS: Well, I really have no criticism I can possibly give to Jazzy Jeff’s performance. Frankly, I’ve never felt so unqualified to do so, anyways. What I will say, which is in keeping with what I mentioned earlier, is that it’s a shame that there’s not more of an effort made, in live DJ recordings like this, to capture the energy of the crowd. On live concert albums, it’s common to hear the attendees, quite audibly in the mix. After all, the audience plays a big roll in the overall experience, when it comes to a live musical performance. In DJ culture, however, the crowd seems to always be left out. In this instance, if I could hear the energy happening on the other side of the turntables, the way I can clearly see it in the video, it would really bump the whole listening experience up another level. As is, I’ve got DJ and MC, but there seems to be a third piece of the puzzle missing. With this kind of attendance, I’m sure the good people that run THE DO-OVER could see the benefit of a well placed CROWD MIC. A vital ingredient for Jazzy Jeff’s next appearance, perhaps. By the end of this mix, I really feel compelled to say “gawd damn, that DJ made my day”! 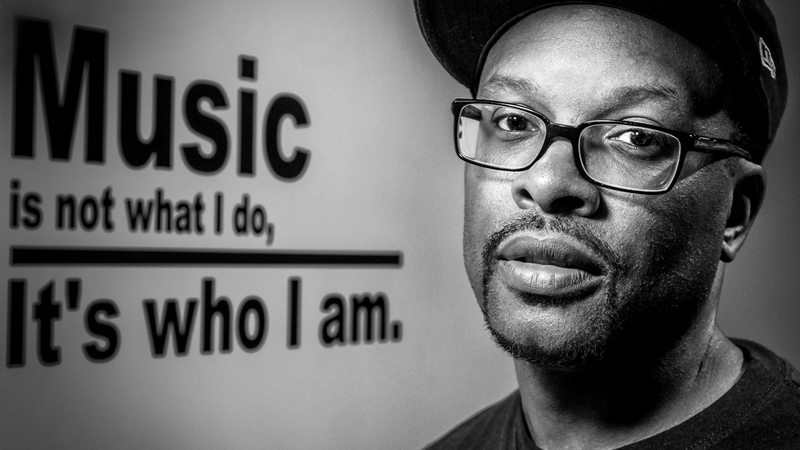 Thank you, Jazzy Jeff. I hope those DVBBS kids read this post.